Hello, lovely readers! 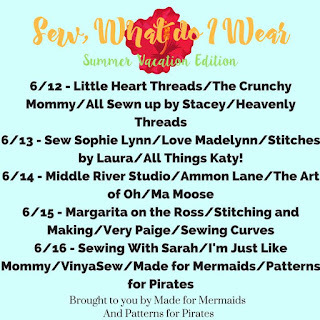 Thank you for joining me for my stop on the Made for Mermaids and Patterns for Pirates, "Sew What Do I Wear- Vacation Edition" Blog Tour! My summer plans include a big family cruise to the Caribbean! Grandparents, sisters, borthers, cousins and nieces and nephews- Woohoo! That means that I need a wardrobe full of fun, summery clothing to wear poolside, formal dinners, port excursions and more! Plus, Missy need some fun cruise wear, too! 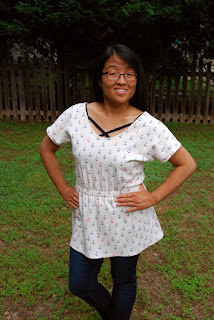 First, I sewed up the Made for Mermaids, Mama Lea Dolman Top. The Mama Lea Dolman pattern is one of my favorites! 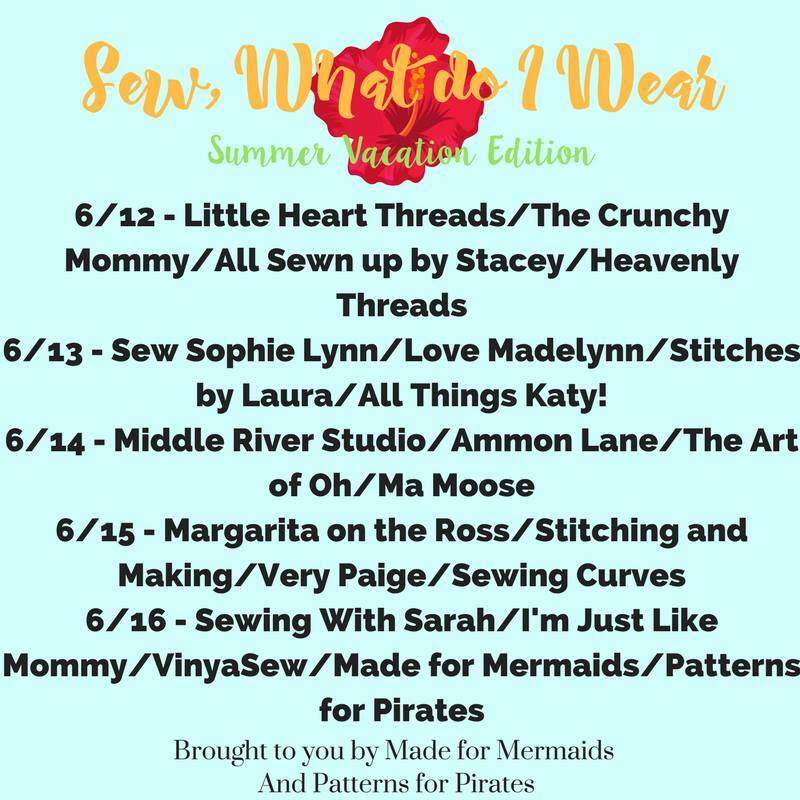 If you remember, I sewed up a maxi version in red for my stop on the Made for Mermaids and Patterns for Pirates, "Sew What Do I Wear- Valentine's Edition" Blog Tour back in February. I really like the Mama Lea Dolman pattern, can you tell?? 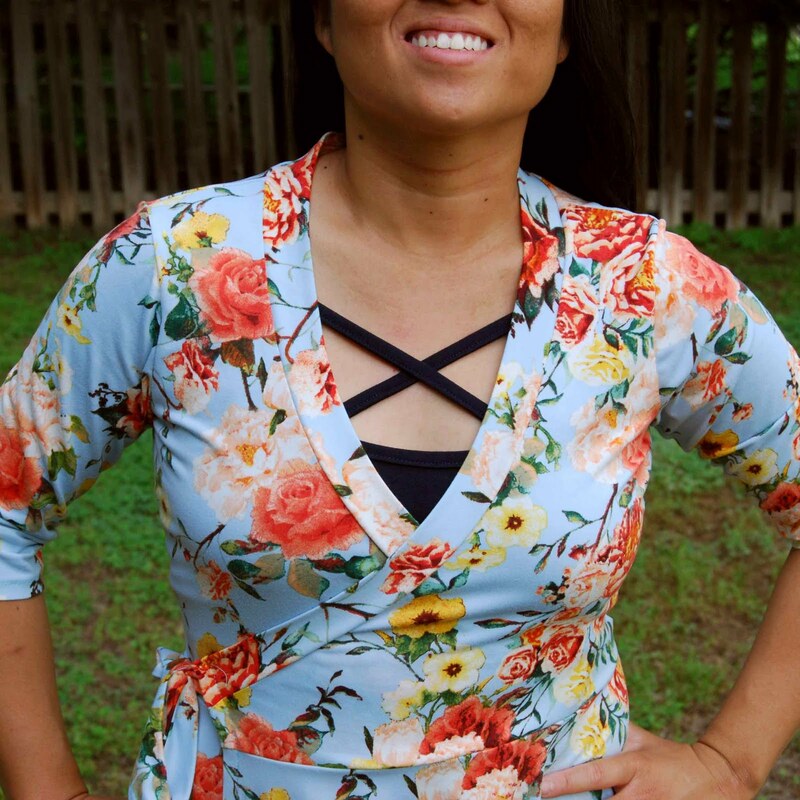 This versatile, flattering pattern uses minimal fabric, has no set-in sleeves (thus, no extra pattern piece to print and assemble) and is a breeze to sew up. Speaking of fabric, I used this fun "anchor" fabric from Birch Fabrics, purchased online from Punkin Head Threads. I sewed up a size "pink," top version modified slightly for my height (5'-0"). 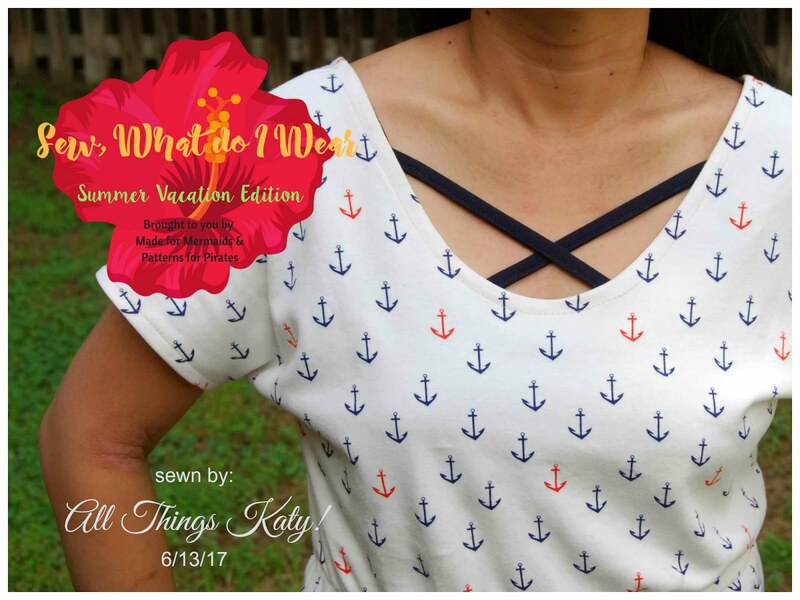 Tell me this top doesn't scream, "CRUISE!"?! 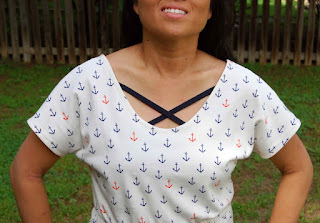 Next, to jazz up my Made for Mermaids, Mama Lea Dolman Top, I sewed up a Cross Your Heart Cami by Patterns for Pirates. 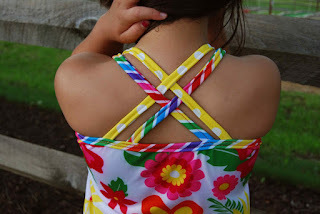 This was my first time sewing up the Cross Your Hear Cropped Cami. While I love most Patterns for Pirates patterns, this particular pattern intimidated me because of ALL.THAT.DARN.KNIT.BINDING!! If you sew, you know what I'm talking about! ;) However, once I started sewing and following through the tutorial, I had nothing to fear- designer Judy holds your hand and walks you through each step with pictures, tips and "how-to." 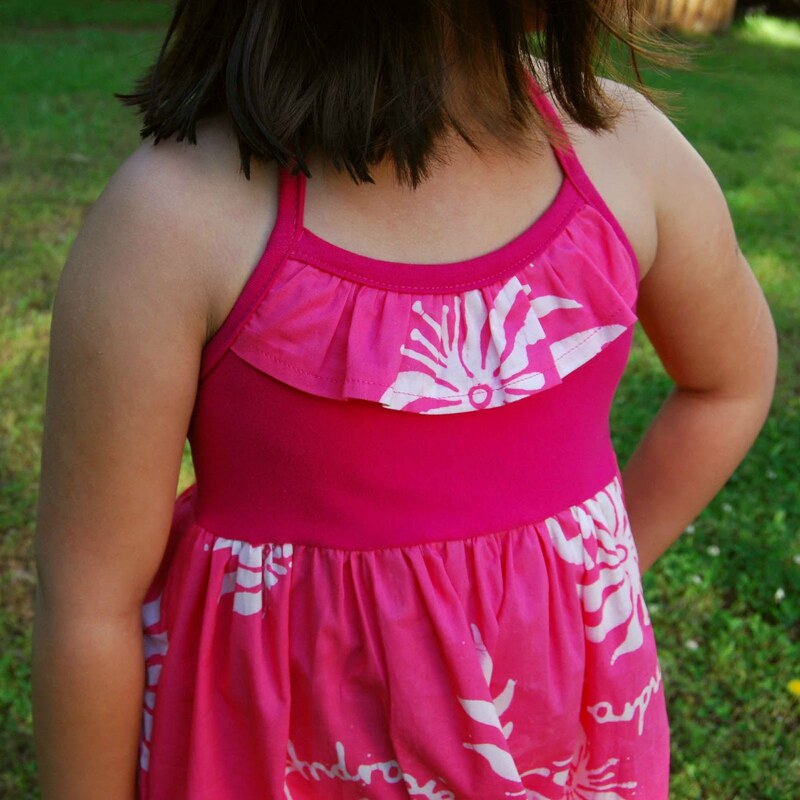 For reference, I sewed up a size small, b cup, high front X, low back X (not shown) cropped cami. I have to say, the fit is spot-on- snug in all the right places, flattering in all the rest! The navy cotton lycra fabric was purchased online from my favorite source to get solid-colored knits, Purpleseamstress Fabrics. Now, as an avid cruiser, I know that there will be some formal nights on my upcoming cruise- two to be exact. I sewed up this Mama Isabel during testing awhile back but it's always been a touch too low to wear without a cami for my comfort level. Patterns for Pirates, Cross Your Heart Cami to the rescue! 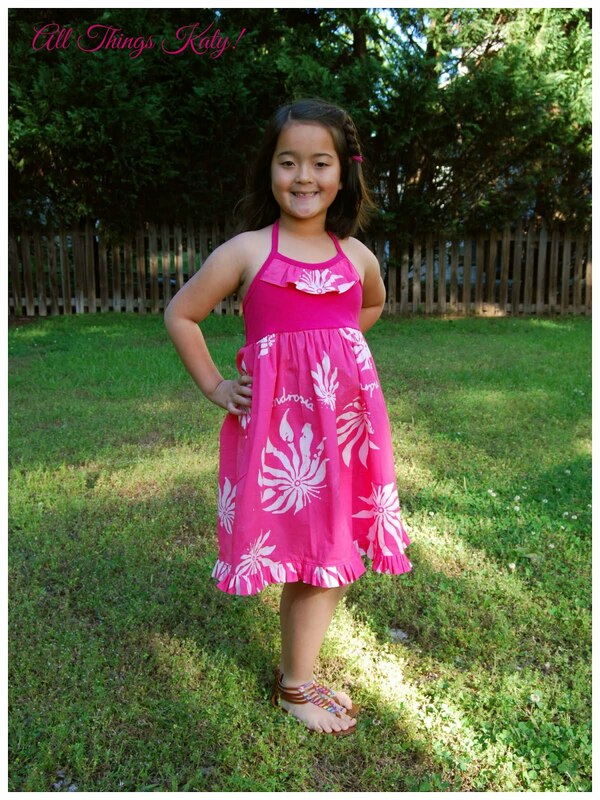 It's just perfect for keeping things modest, yet fun! So, whether you dress up the Patterns for Pirates Cross Your Heart Cami for formal night, or dress it down for day wear, you simply can't go wrong! Now onto Missy's cruise wardrobe....! First, I sewed up this fun, summery Made for Mermaids Sommer Dress. 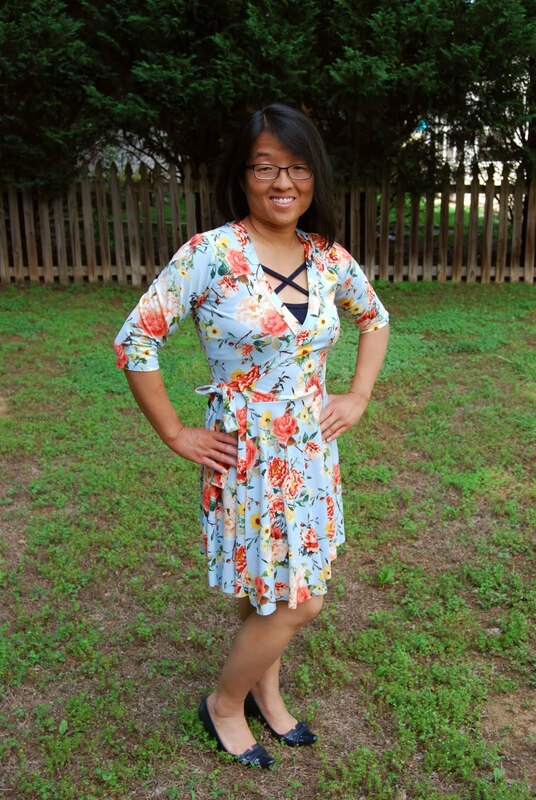 This is a size seven, knit empire bodice, woven skirt dress length with the following modifications- a) Instead of fixed straps, I just lengthened the single strap option and tied them in the back, halter style (or, as Missy refers to it as, "Neck Tie."). b) I subtracted and inch and half from the bottom hem of the dress length and added a small one inch ruffle. 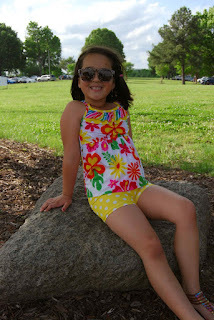 Last but not least, here is my final sew for the blog tour- another Made for Mermaids Sommer Top (bathing suit hack) and Bonny Shorties. Both items are size seven. 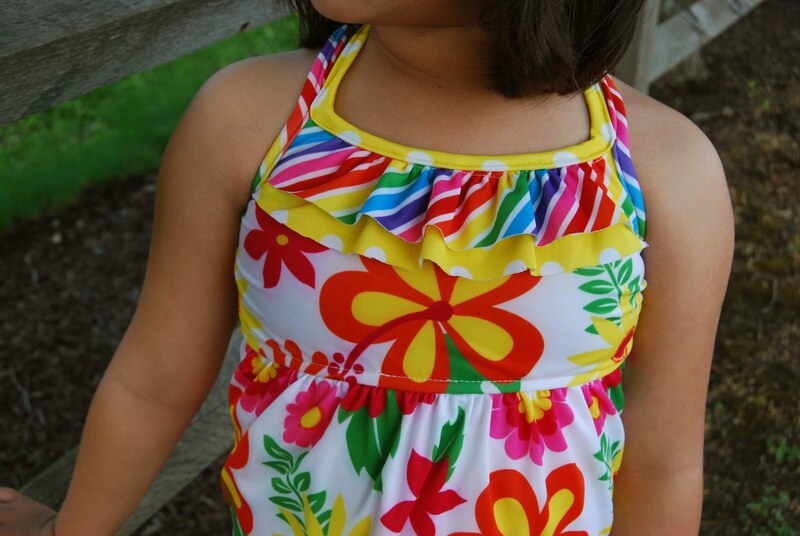 This Sommer Top is empire waist, sewn in swim fabric, double straps, bodice ruffle. 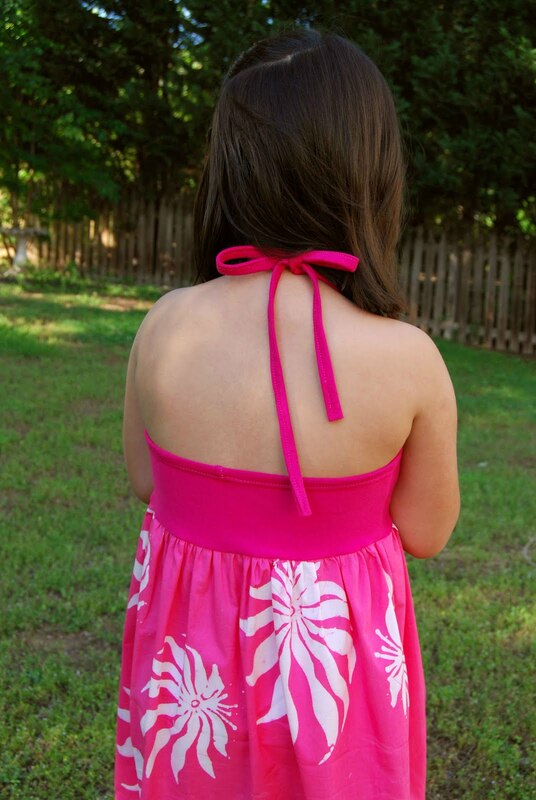 I modified as follows- a) I lengthened the back bodice piece to hit my daughter at high hip. b) I but the front top skirt to be 1.5x the width of the bottom bodice width (resulting in a slightly gathered front skirt) c) I cut two bodice ruffles- one of which was 1/2" shorter than the pattern-specified height d) I added swim elastic to all straps and where the bodice and skirt meet. All spf 50 fabric was purchased from Peek-A-Boo Pattern shop, last year. Girlfriend is ready for to CRUISE! I still plan to add a couple more items to our cruise wardrobe, but this definitely helped me get a jump start! After all of the sewing included in this blog post alone, I think I deserve a vacation..... say, how about a nice, CRUISE vacation....? ! ;-) Bon Voyage!